There was a lot of interesting baseball played on Easter Sunday as baseball wrapped up its first weekend of the 2018 season. 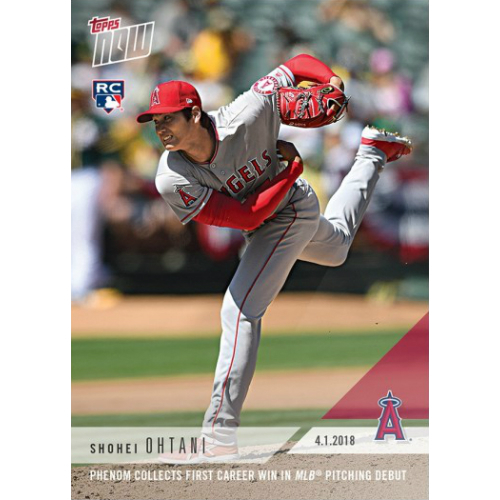 Milestones from Jose Berrios, Justin Smoak, Gerrit Cole, and Shohei Ohtani have all been immortalized as a part of the fourth wave of 2018 Topps Now baseball cards. 20 - Jose Berrios (Twins) earned his first win on Sunday while also pitching the first shutout of his career. 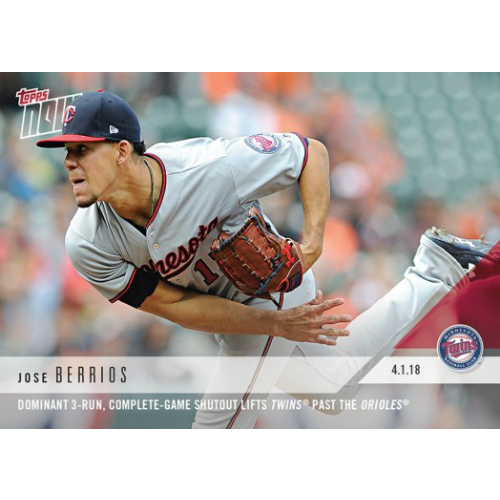 Berrios faced 30 batters walking one and allowing three hits on 107 pitches to help lead the Twins to a 7-0 win over Baltimore. 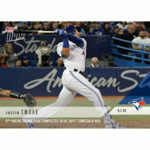 21 - Justin Smoak (Blue Jays) went 3 for 4 with a walk in Sunday's match-up against the Yankees but his greatest moment came in the bottom of the 8th when he hit a grand slam to give the Blue Jays a late inning lead. The team struck early, scoring a run in the 2nd, but immediately fell three runs behind in the top of the 4th. 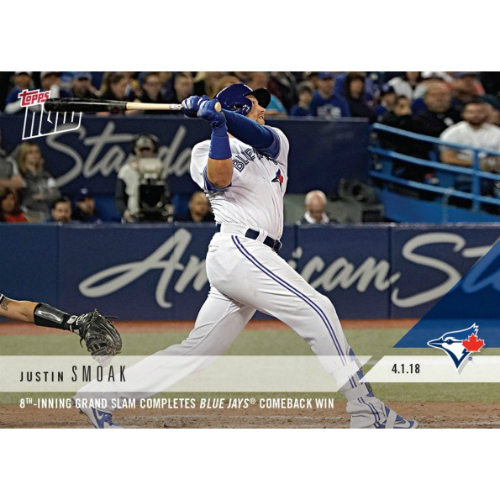 In the bottom of the 7th Toronto was able to get within striking distance with two runs but Smoak's grand salami put them over the Yanks by three and finalized the ultimate score of 7-4. 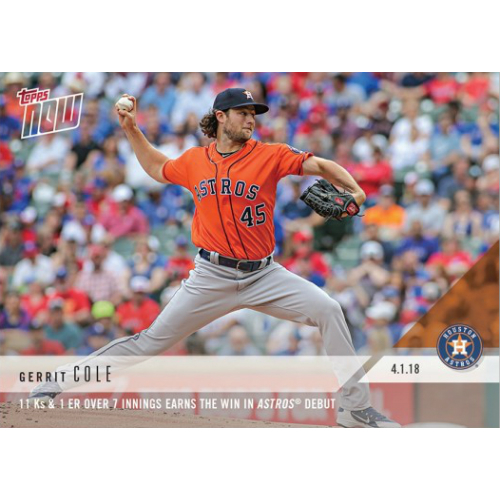 22 - Gerrit Cole (Astros) began his 2018 season with a check in the Win column after pitching 7 innings and giving up only one run. The right handed pitcher was making his Houston debut on Sunday and logged 11 strike outs over 22 batters. The one run he gave up came off the bat of Joey Gallo who homered in the first inning. 23 - Shohei Ohtani (Angels) made his second major league debut on Easter as he took the mound for the first time to face the A's. The "Japanese Babe Ruth" pitched for 6 innings and gave up three hits, all in the second. Aside from a second inning that beat him up - Matt Chapman launched a three run homer off of Ohtani - he managed to dominate Oakland over 92 pitches. He collected his first W of his career. 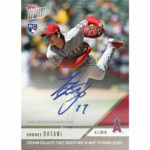 The Ohtani card also includes a "Kanji edition" as well as numbered autograph parallels. 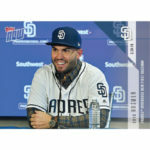 Click on the banner below to be directed to the purchase page. Cards are available for only 24 hours and print runs are limited to consumer demand. Final numbers will be added to our checklist when they are made available.